The software allows you to import emails from multiple MBOX files into Thunderbird application simultaneously. And Bulk import of MBOX files into Thunderbird email client also saves user's time and efforts. Mozilla Thunderbird import wizard tool allows you to chose desired identity or configured profile name to import MBOX emails into that particular configured profile. 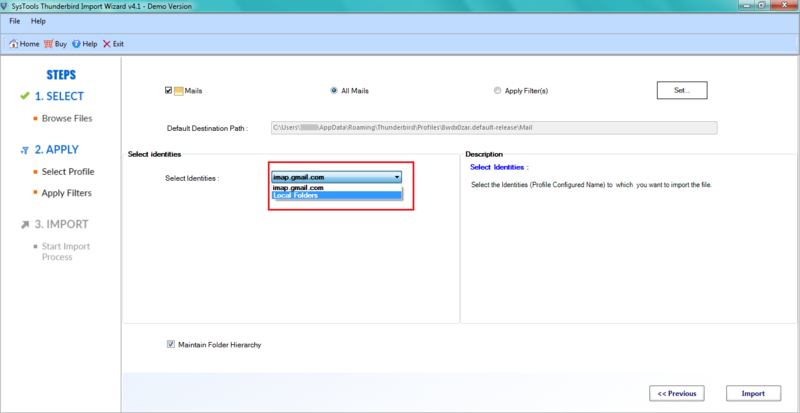 This option facilitates users to add MBOX to any configured email in Thunderbird. Import MBOX to Mozilla Thunderbird gives two option to add MBOX to Thunderbird. 1. Select File(s) - This option allows you to select multiple MBOX file one by one from your location and you can also remove the added list. 2. Select Folder - In this option you can add the folder containing multiple MBOX file all in once. User can remove the mbox file from here also. This software completely imports MBOX to Thunderbird without losing any item attributes. Along with MBOX emails, it also move its attachments like any document, images or other. 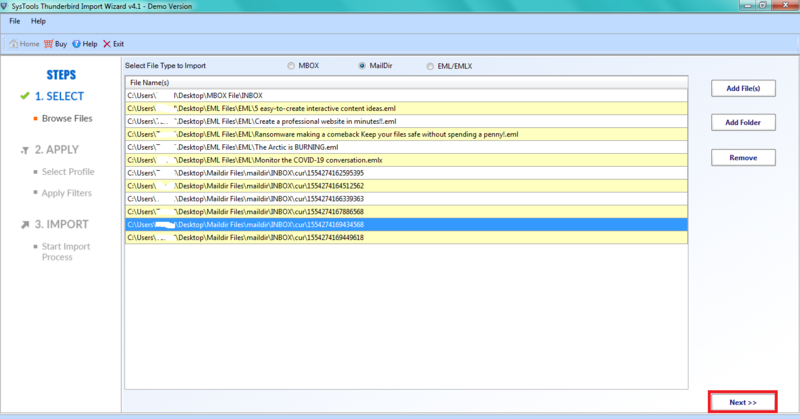 Mbox files can be easily viewed and read MBOX emails with its headers, meta data etc. Thunderbird import wizard retains the folder structure while importing MBOX files to Mozilla Thunderbird. It maintains the folder hierarchy for the particular folder which is within mbox files and also supports the nested structure of folders. This feature allows the users to apply the time period by providing date in From and To section for between which you want to add MBOX file to Thunderbird. This date range setting facilitates the user to avoid unnecessary data to import MBOX folder to Thunderbird and thus saves time. Mbox is called as a mailbox which contains all the mails. 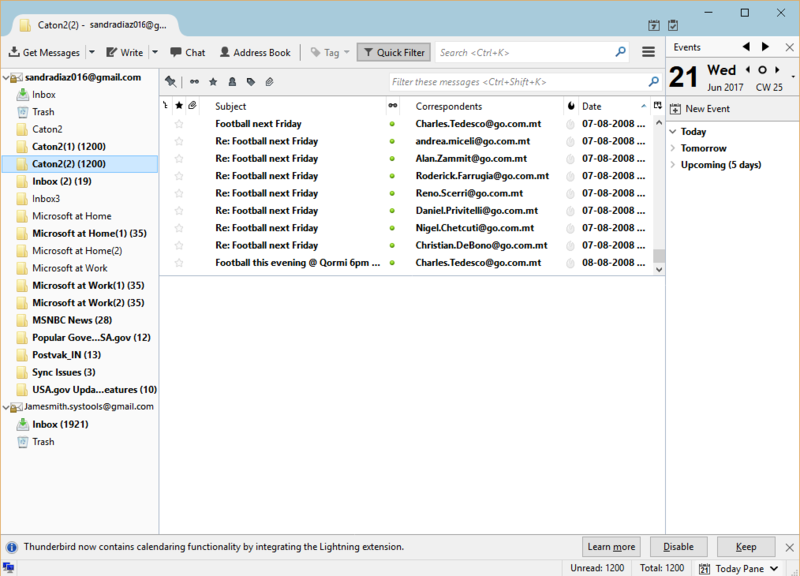 Mbox is a most common format to store mail messages, no limitations on its size are stated anywhere. It saves the mails in a single concatenated text file format one after another. Each mail is started with the word "From" and ends with a blank line. There are many email applications which create the MBOX file such as Thunderbird, Eudora, Entourage, Sea Monkey, Spice Mail and many more. Mbox file can be created with no extension or with extensions like .mbox, .mbx. You can also create Mbox file of your Gmail account to keep the backup of mails by using Gmail Takeout. As the Mbox file can be opened only in Mbox supported email applications so using this Thunderbird import wizard you can easily add mbox to thunderbird application. There are two more file formats created by Mozilla application, one is with extention .sbd also called mail sub directory. Mail folders are stored as two files, one with .msf extension which is the index of the mail and the other one have no extension. Step 1:Install and Run Add MBOX File to Thunderbird utility. Step 2: Click on Add file or folder to load MBOX in application. Step 3: Import added MBOX file after applying date filter & enabling folder hierarchy. Step 4: Read after importing Mbox in Thunderbird at destination location. Watch the working to import MBOX file into Thunderbird to get preview of all emails. 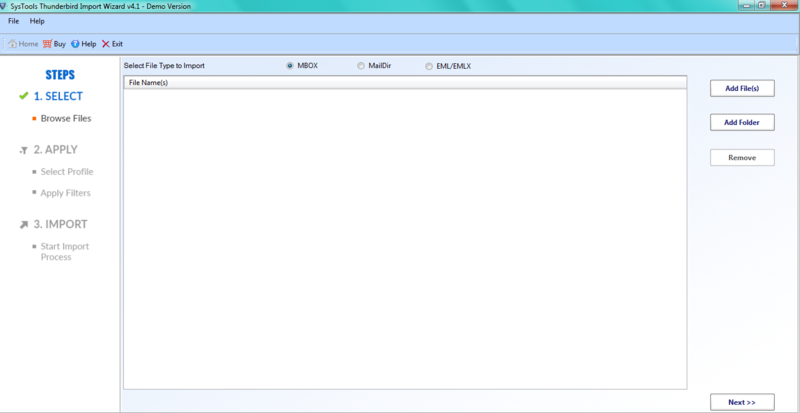 Is it allows to add & import multiple MBOX File in Thunderbird? Yes, the tool have select folder option which allows you to add MBOX file to Thunderbird in bulk and import MBOX into Mozilla Thunderbird in a configured Email profile. Is it necessary to install Mozilla Thunderbird to import MBOX files? Yes, you must have to install Thunderbird email client in your systems to add MBOX to Thunderbird and then read and view imported emails. What is the size limitation of MBOX file to add MBOX to thunderbird? There is no file size limitation to import MBOX folder to Thunderbird. You can add large size MBOX file without any loss of data. Is thunderbird import wizard tool is compatible with Windows 10 OS? Yes, Intrigua Add Mbox tool is compatible all latest versions of Windows 10 or below versions. 1GHz processor (recommended 2.4 GHz). The development team of Intrigua Add MbOX Tool put a great effort to develop this software. It easily imports multiple MBOX mail to Thunderbird and allows to opening MBOX files in Thunderbird. This is the best importer wizard that I have come accross. I had a large amount of history MBOX files, that I wanted to view in Thunderbird email client. 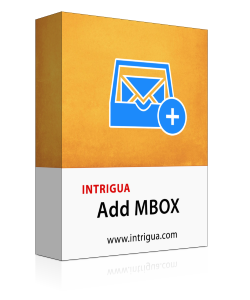 Intrigua's Add MBOX software facilitated me with the option to import MBOX to Mozilla Thunderbird email client at too in same folder hierarchy. A very big thankyou.